Last year, I promise to God that one day I'll visit Caleruega for thanksgiving as we receive bounty of blessings and to ask for guidance. After we got married I asked hubby if we can have a family get together with my inlaws at Tagaytay. 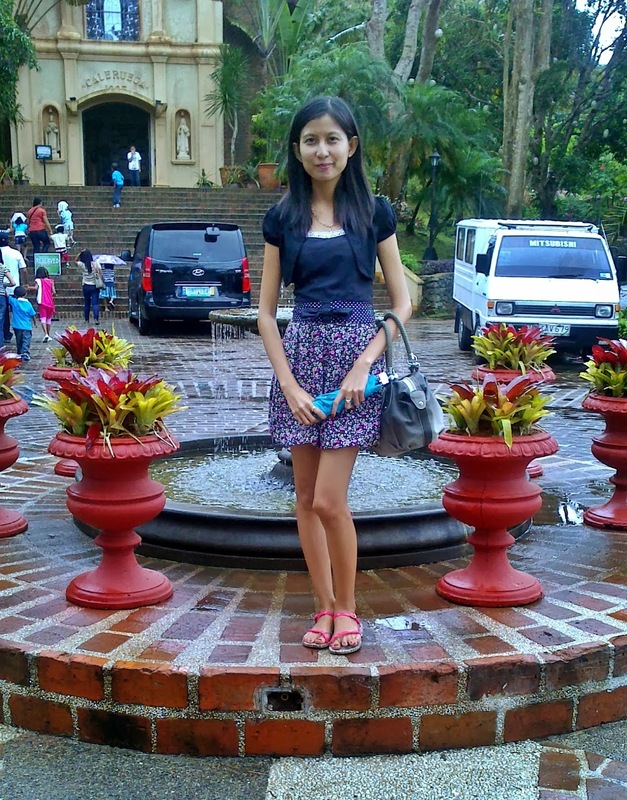 I personally chose Caleruega to fulfill my promise and ask for some help regarding bearing a child. 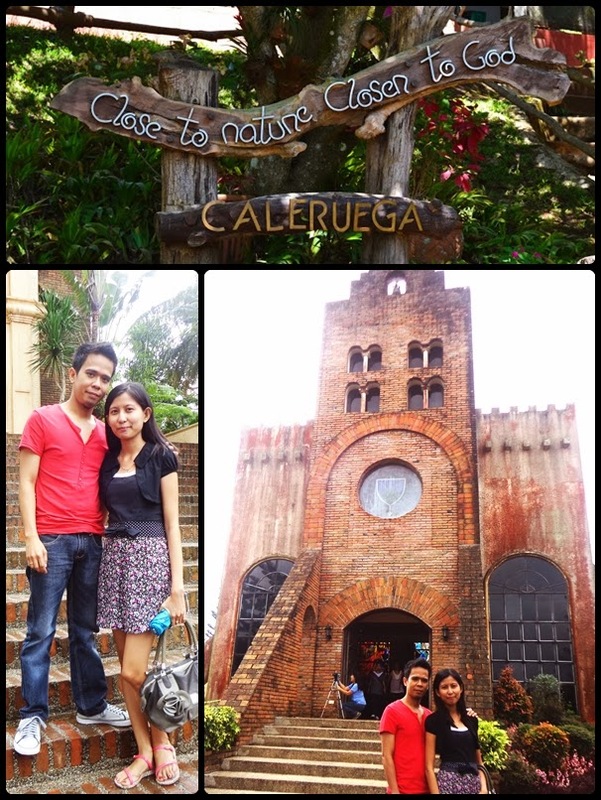 My husband agreed and so we took his family to Caleruega and have a nice bonding after church services. Caleruega is known as one of the top church here in the Philippines because it is located in a hill and there is only one mass during Sunday which is at 11AM. Most of the brides dream of having their wedding here at Caleruega but since the location is far from the city, only those who have the budget for a grand wedding fulfill their dreams. This picture was taken a week after our wedding, as a thanksgiving to what we have and to ask for a baby. It is said that this church is a replica of the church in Spain but I barely know the history of it and all I wanted is to have a blessed mass here in this church. I take the time to pray and took some pictures with my hubby since this will be our last trip together before he goes back abroad for work. 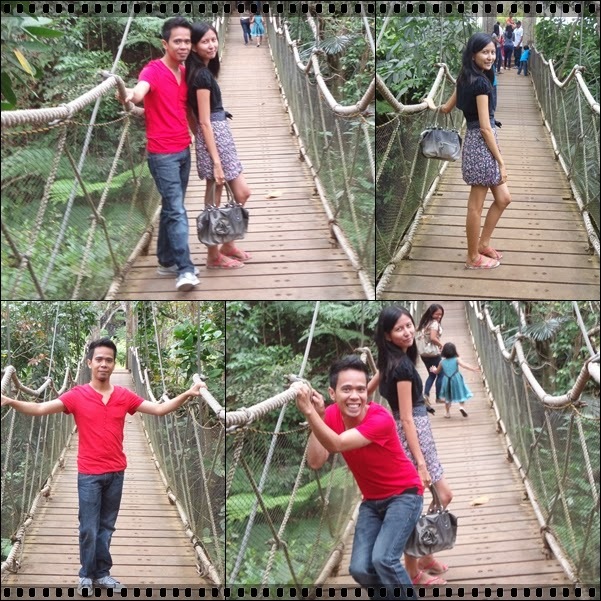 This is the hanging bridge to where another pilgrim is located up in the hill. We passed along this bridge and walk till we get to the pilgrims. That is the pilgrim I am talking about but that was not really a solemn place for me so we just took a picture from a far. This is the main entrance and the parking area. As you can see at my back there is a building in which you will passed by before entering the entire site. You will pass different sidewalks before you see the church. When we visit the church, there is a wedding ceremony happening and I was mesmerized with the brides' wedding gown that I forgot to take a picture of it. Caleruega church is located at Taal and Lemery boundary. You will need to take a tricycle ride if you don't have your own car and will just commute. A jeepney is not entering the premises so it is really recommended to have your own vehicle if you want to visit the place.